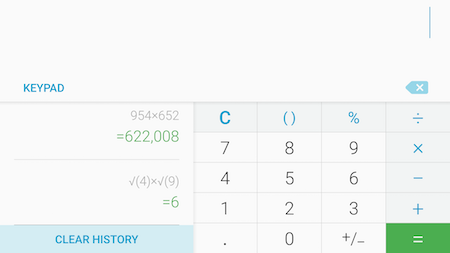 You can perform simple or advanced calculations with the Calculator, a preinstalled app on your smartphone. 3. 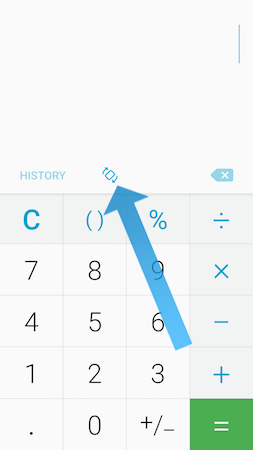 Hold your phone in the portrait view to access primary functions (division, multiplication, subtraction or addition). 4. For those who require more advanced calculator functions, turn your smartphone on its side (to the left or to the right) to access advanced scientific functions. 5. To see the calculation history, touch HISTORY. 6. 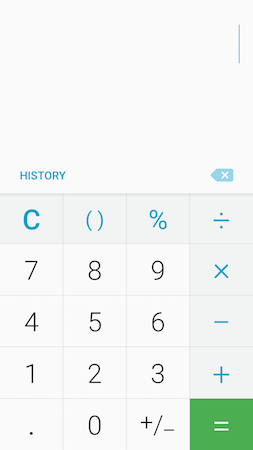 To close the calculation history panel, touch KEYPAD. To clear the history, touch CLEAR HISTORY. Note: To clear the results and start from the beginning, touch the Clear icon. If Auto-rotate is disabled, turning your smartphone on its side will produce no effect. You have to touch the Rotate icon. Note: If you are not sure if Auto-rotate is enabled or disabled, simply look for the Rotate icon. If the icon is present, it means that Auto-rotate is disabled on your smartphone.